When is the last time you had a cleaning and dental checkup in McKinney? If it has been more than 6 months, you are placing the health of your smile at risk. Although many believe an appointment is not necessary until after a problem has developed, this is not true. By visiting your dentist twice per year for preventive care, you keep your teeth and gums healthy. In fact, for every $1 spent on prevention, you can save $8 to $50 on restorative and emergency services. At Marble Dental Care, we want to help you invest in your oral health. We provide the preventive services you need to protect your smile. Your brushing and flossing habits at home are your first line of defense against preventable oral health issues, like tooth decay and gum disease. While they are effective for removing food particles and plaque, it is not enough. Even with the best brushing and flossing methods, there are areas in your mouth you cannot clean at home, like under the gum line. As a result, plaque and tartar accumulate. The only way to remove the buildup is with a professional cleaning. Our dental hygienist uses special dental tools to clean areas you cannot reach on your own. This reduces your risk of developing common issues, like gum disease. In addition, she will take the time to discuss your oral hygiene habits and make recommendations for improvement to keep your teeth and gums healthy. 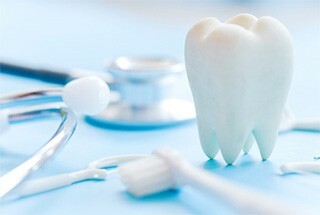 Dental care is designed to prevent issues from developing in the first place. Even with the best oral hygiene habits, a problem can still arise. To quickly treat it before it worsens, you need a routine checkup. This allows your dentist in McKinney to monitor your oral health. We can detect areas of concern while they are still small to provide quick intervention. This lessens the need for a costly, invasive treatment in the future by rehabilitating your oral health as soon as possible. During your appointment, we check the health of your teeth and gums using a visual examination. To gain a full picture of your oral cavities, digital x-rays are used to help us see issues that may not be visible on the surface. We do not just look at your teeth and gums. We also evaluate your neck and jaw to look for potential complications, like a disorder of your temporomandibular joint. 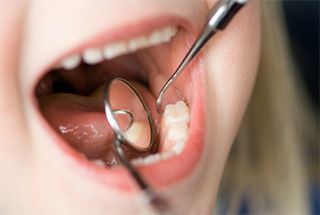 We also check for changes to the tissues in your mouth and surrounding structures to monitor for signs of oral cancer. Using this information, we create a customized treatment plan to help you reach and maintain optimal oral health. Based on our findings, we may recommend additional preventive treatments, like a fluoride varnish or dental sealants to further protect your smile. Do not place the health of your smile at risk. Promote healthy teeth and gums that last for a lifetime with a semi-annual cleaning and checkup. Contact Marble Dental Care today to schedule your appointment. Ask Dr. Hegazin Any questions? We’re ready to help.